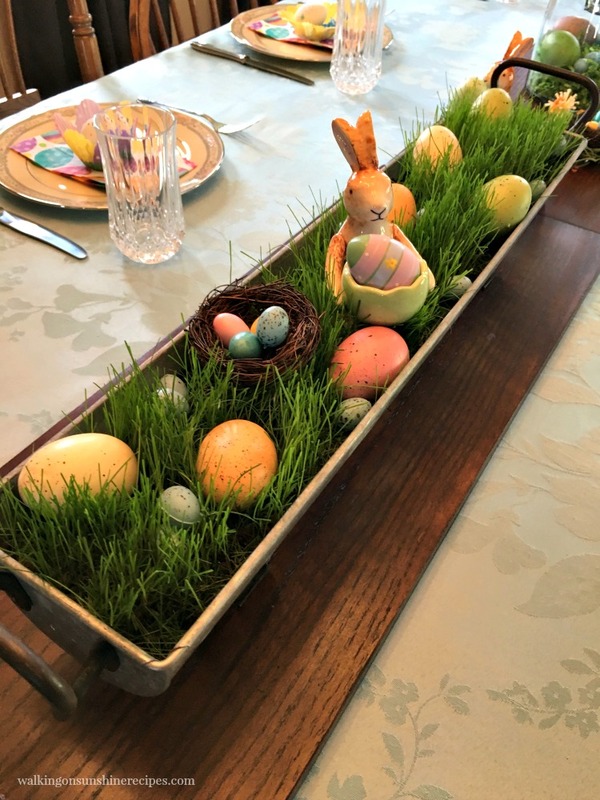 Why not doing something different for Easter this year and create a Grass Centerpiece filled with colorful eggs and bunnies that your friends and family will love! 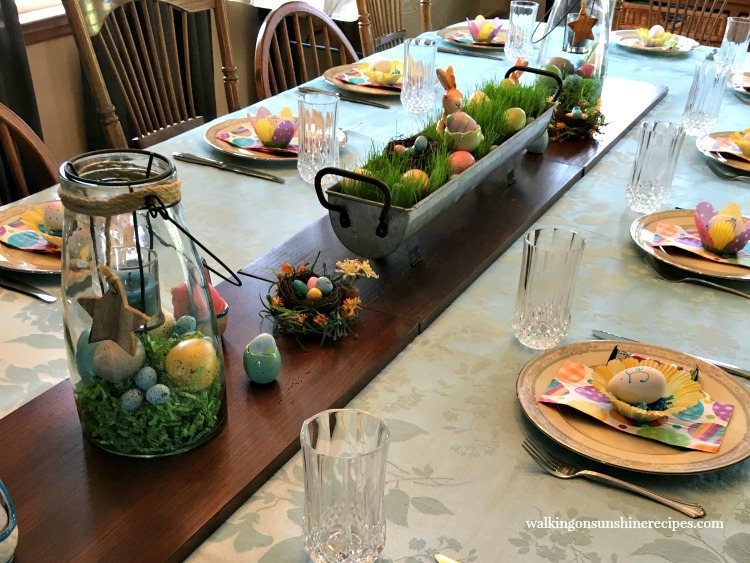 Last year a few weeks before Easter I went to Hobby Lobby looking for something different to use as my centerpiece for our Easter table. I found a few ideas but they all involved fake grass mats. I showed them to my husband and told him that I like the idea of using grass for the centerpiece but didn’t like the fake grass idea. I asked him if he thought we could plant real grass in a container and then I could decorate around it? I mean we already were planting our Resurrection Garden again this year with grass seeds, why not work on another project? 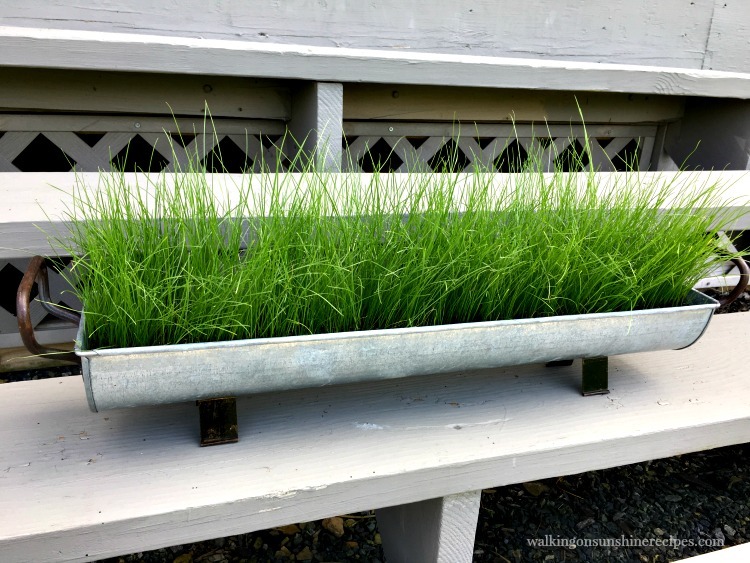 I already had this great galvanized trough that I usually fill with seasonal items so he suggested we just fill it with dirt and plant grass seeds! 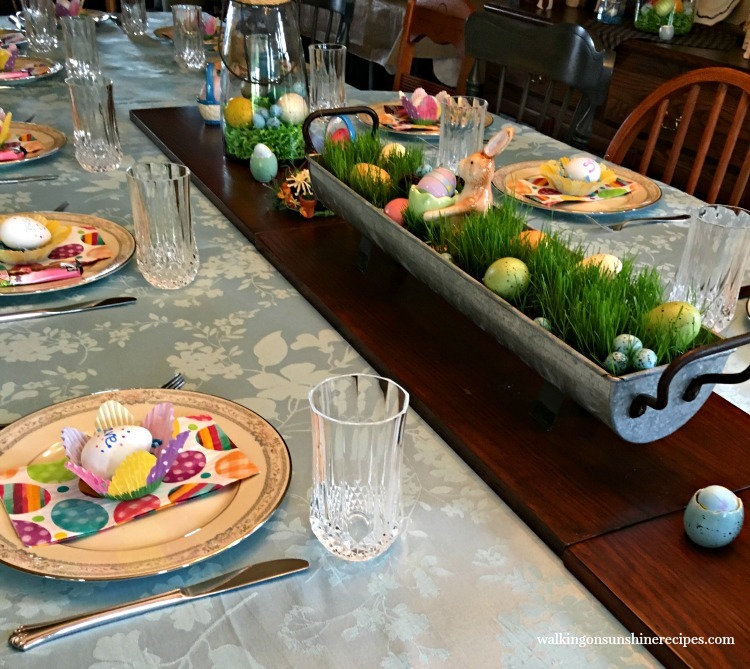 It was the best idea and I loved how pretty our grass centerpiece looked with the table set for Easter last year. There’s really not much you need to put this together. 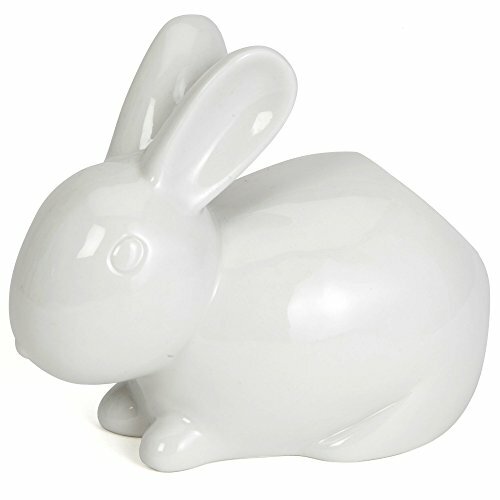 Find a container that you want to use as the centerpiece. I already had this amazing galvanized trough so it was perfect for our project. 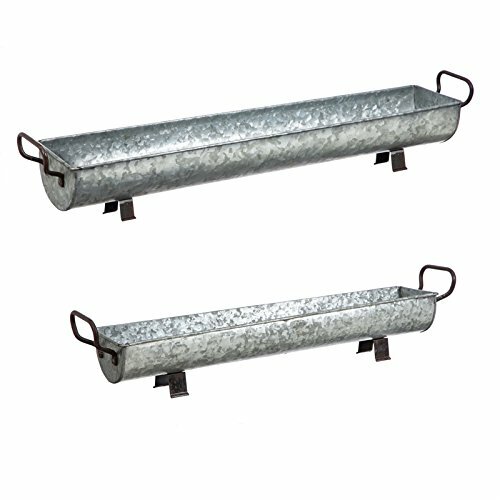 Make sure you check out my Shopping List at the end of this post to purchase the same galvanized trough. You want to make sure that whichever container you choose to use that it’s waterproof. 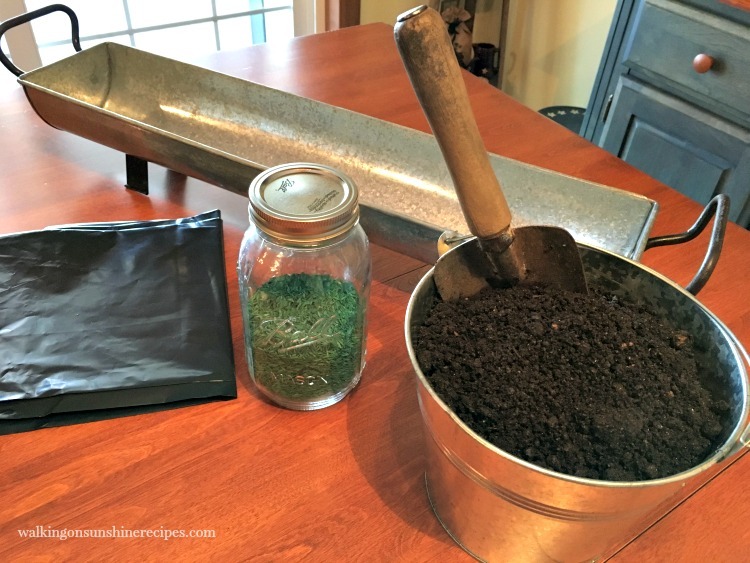 You don’t want water dripping all over the place as you water your grass seed every day. We chose to cut a heavy duty garbage bag to fit inside the galvanized container. Add the dirt. 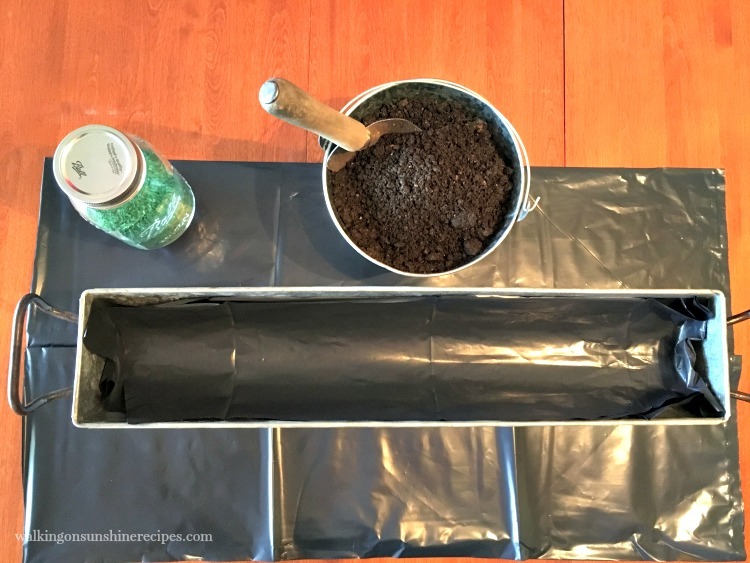 We used just regular potting soil. The sprinkle the grass seed on top. We used Kentucky Bluegrass Seed because I wanted a pretty grass. 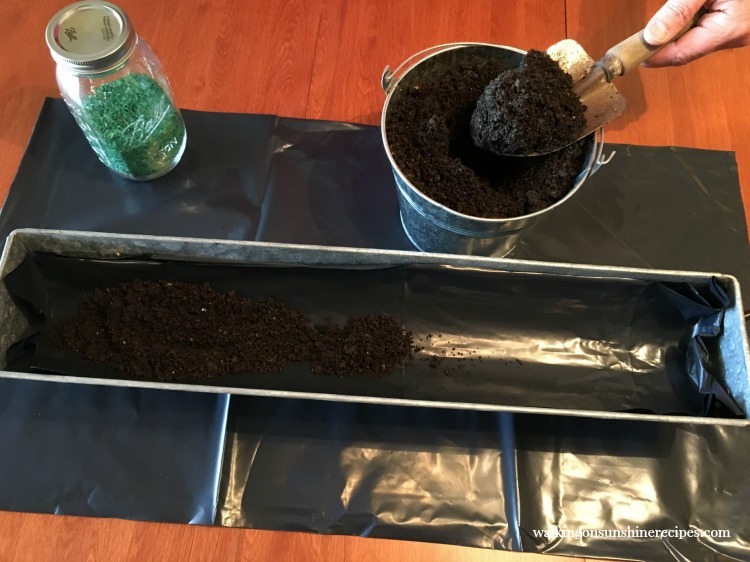 We planted a lot of seed too…I wanted the container to be thick with grass. Using a spray bottle, lightly spray the grass seed and dirt. Then place a few popsicle sticks down the center of the container. Then add a piece of plastic wrap on top. You’re creating a greenhouse effect. Place the container in front of a window that gets a ton of sunlight. You want the grass to grow quickly! 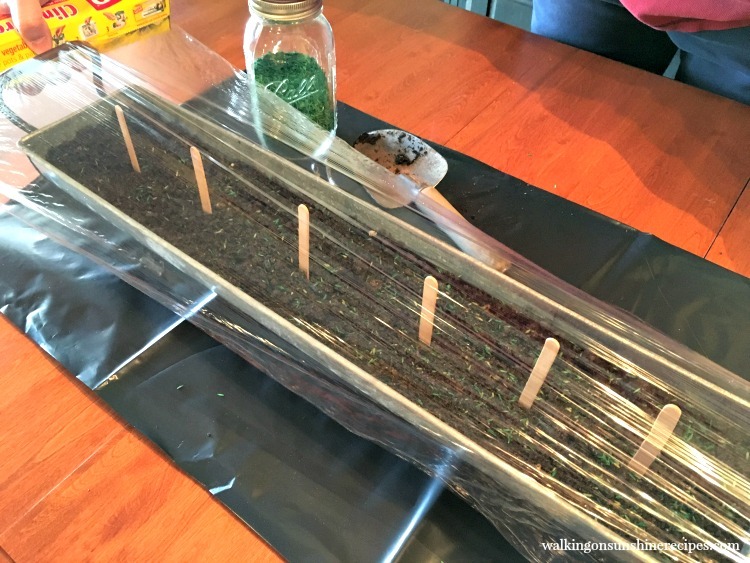 Lift up the plastic wrap daily to spritz everything with water, then cover again until you see grass starting to grow. You can remove the popsicle sticks and plastic wrap at that point. Here’s our container filled with beautiful grass. You can use it just as is for your centerpiece or you can trim it, which is what I did. You’re going to want to trim it just a few days before Easter though because it will continue to grow! Now comes the fun part…decorating! 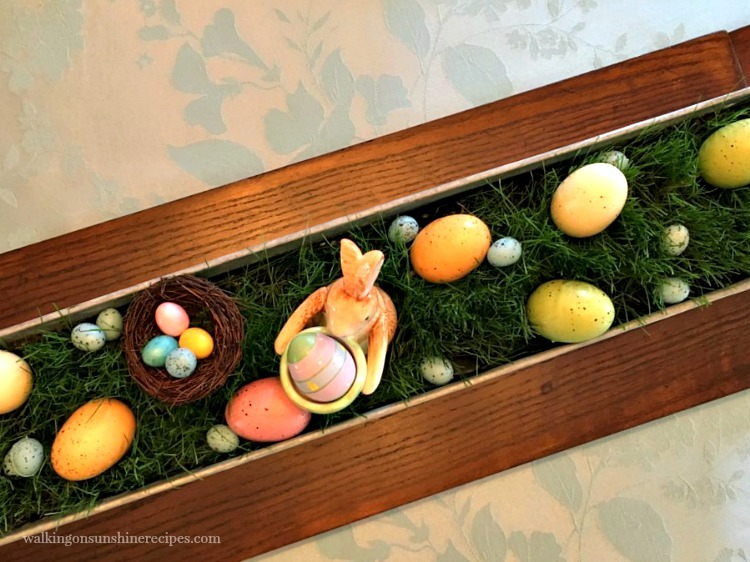 I chose to use speckled wooden eggs and my ceramic bunny. 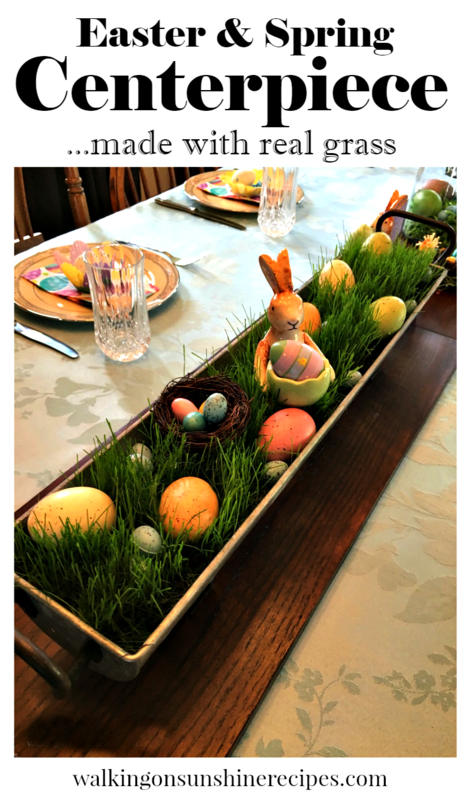 If you have young children at home, you can even dye eggs and place them directly in the grass centerpiece. I think I’m going to do that this year! 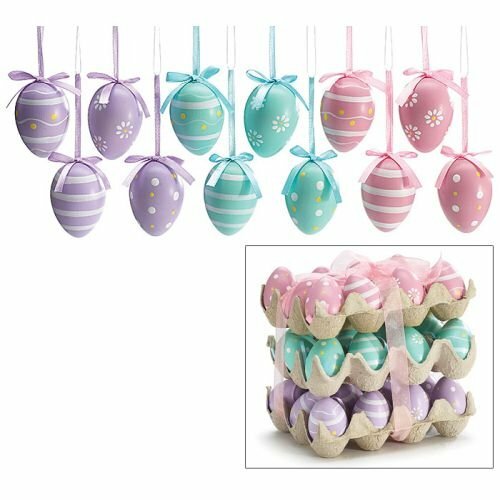 I also found some cute grapevine wreaths with eggs to look like nests. Here’s a fun overhead photo for you to see the grass with the bunny and eggs. 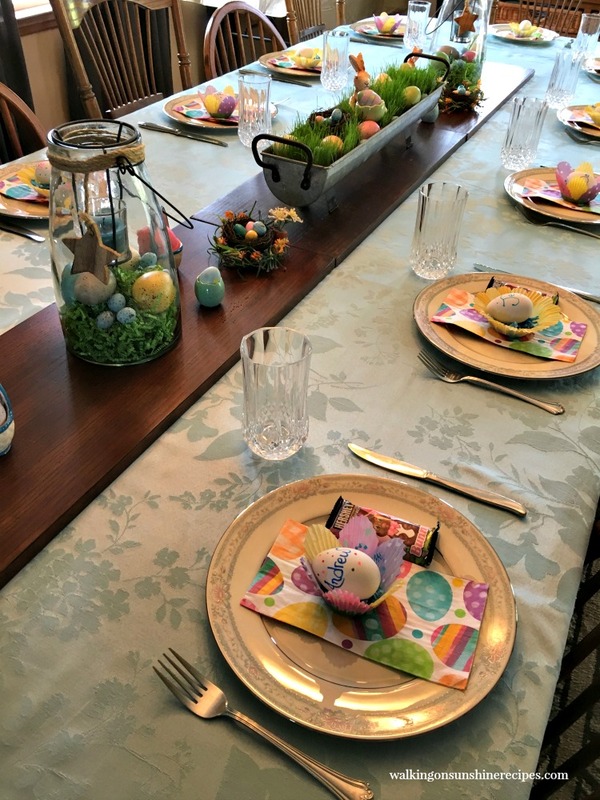 Here’s another view of the table completely set on Easter Morning. 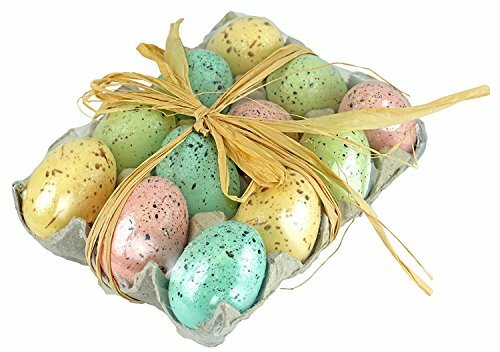 I filled my glass containers with colored paper and more of the speckled wooden eggs. I also used fun colorful paper napkins with cupcake liners on top that held the egg place card holders I created. You can find instructions on making those here. 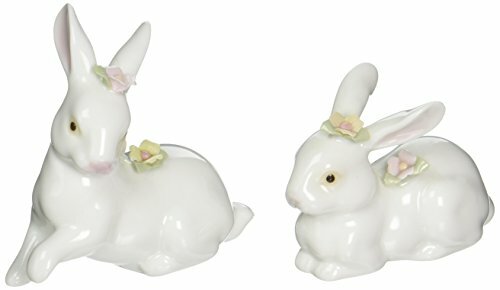 I placed candy marshmallow bunnies on top of the kid’s plates as a little treat for them. 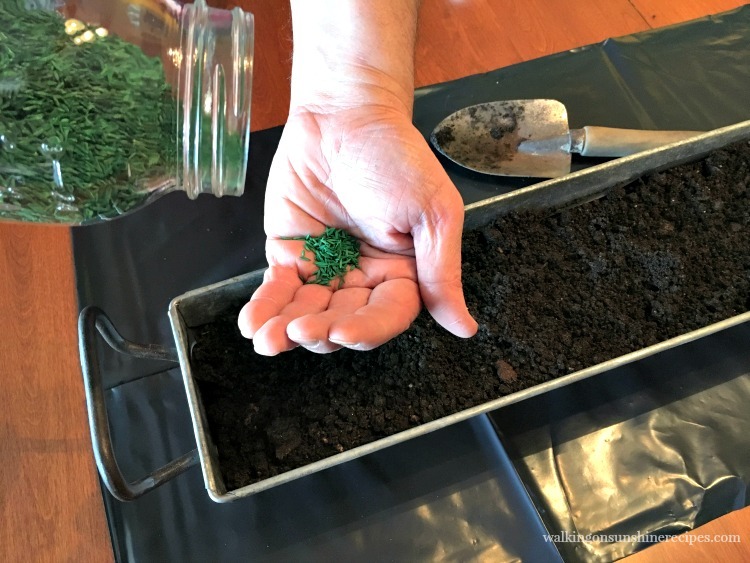 I think this is one of my favorite centerpieces and I can’t wait to see how this year’s grass grows…yes, it’s already planted! Very fun centerpiece! Love the place cards. Visiting from The Scoop. I actually forgot that I took all the photos last year until the other day when we planted the grass seed again for this year’s centerpiece. Thanks for visiting Victoria. Hey, Kathryn, sorry I missed this comment earlier. What time does your party start? I’d love to join. Thanks! I love this idea!!! My sister-in-law did this one year for our family dinner (we take turns hosting holidays each year). It was gorgeous! Thanks Sondra! I have this year’s centerpiece starting to grow…fingers crossed it looks as pretty as this one from last year. Thanks for visiting! Love the live grass! I am so going to do that! 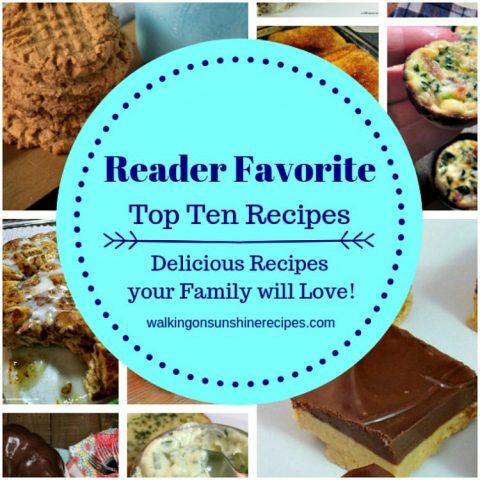 This post is Featured at Merry Monday this week! Thanks so much for sharing your creativity with us. Thank you! I saw the feature as well! 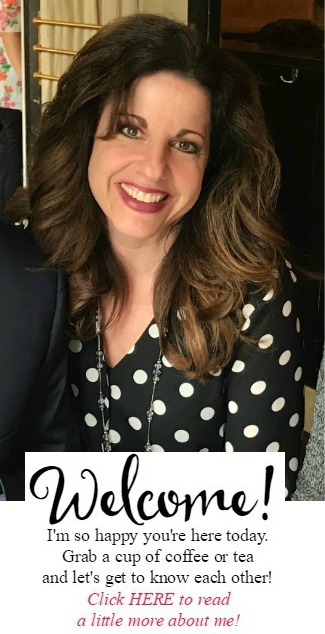 Love joining your party every week! 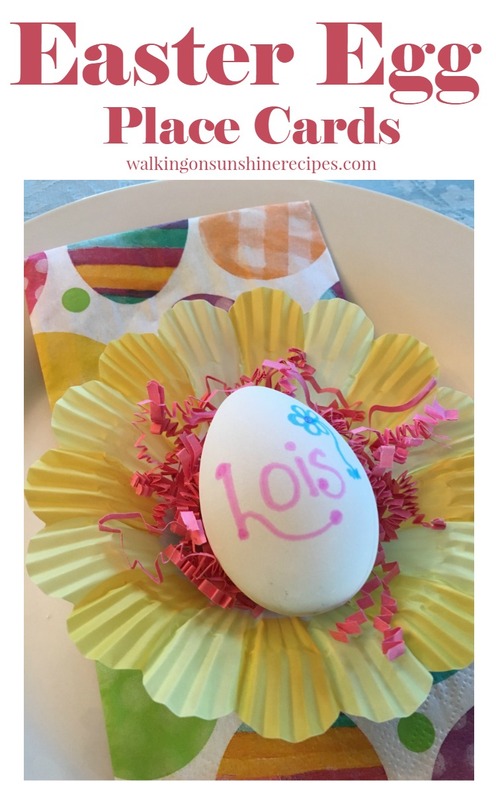 Such a lovely idea and beautiful centerpiece, Lois! 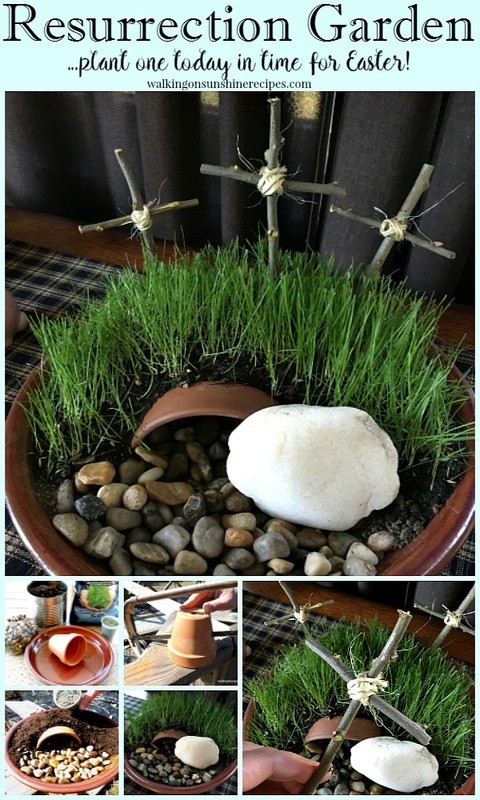 Would love to have you share this AND your Resurrection centerpiece and Homestyle Gathering, via My Wee Abode! Pinned! I love that this is actual grass in the centerpiece. How fun! This looks beautiful in the center of your table. I need to make this. Thanks for sharing at Merry Monday.